Made in Chelsea made a return to Channel 4 last week and the second episode, which aired last night, was full of DRAMA. If you missed it, there are major spoilers below so if you don't want to know what went down, look away now. 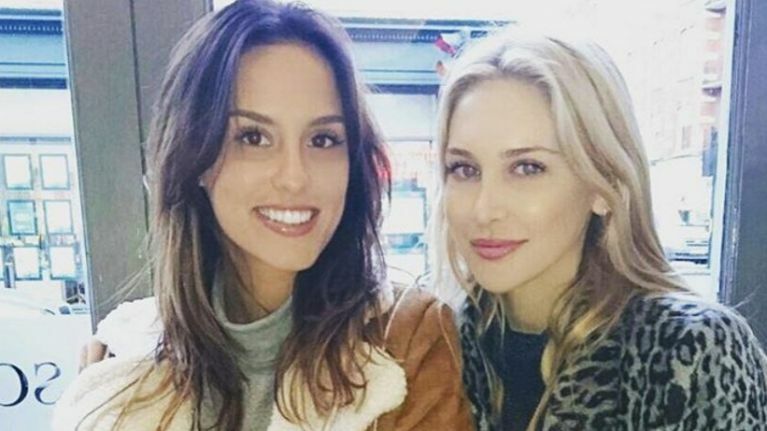 Basically, Lucy Watson, James Dunmore and Stephanie Pratt fell out after Stephanie apparently got involved in Lucy and James' relationship. Reports say that Lucy alleged that Stephanie made a move on Alex Mytton, who is in a relationship with Nicola Hughes. Californian girl Steph took to Twitter to share the Whatsapp messages where she vehemently denied approaching Alex and said that Lucy was just annoyed because James won't move in with her. Love when a friend throws u under a bus on tv!!!!! ? ? ?#MadeInChelsea #wtffff #havewemet?? WARNING ⚠ ⚠ Never call anyone hot! #MadeInChelsea how dare I compliment someone!!! She also told her friend she needed to "relax" and we can only imagine what Lucy's reaction was to that. Lucy later took to Twitter to tell fans that they would understand if they could see what happens off camera. If only you guys could see what happens when the cameras aren't rolling. You'd get it. Goodnight, ❤️ to all. Including the haters, my faves. Love Island's Zara defends Adam's behaviour and honestly, is this real life? Is this the date Phelan will FINALLY exit Coronation Street?